Please use this link to pay for the conference (Note: The dietary requirement is a mandatory field). For accommodation, see further below. 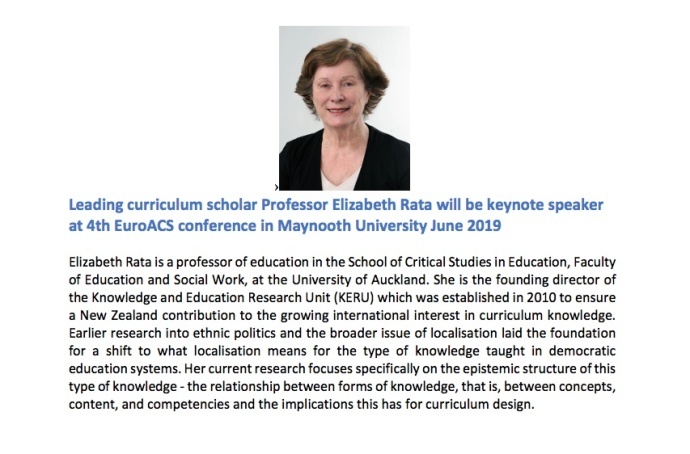 Professor Patrick Slattery will speak at the 4thEuroACS Curriculum Conference in Maynooth University , Ireland in June 2019. Dr. Patrick Slattery is Professor and Associate Department Head for Graduate Studies in the Department of Teaching, Learning & Culture in the College of Education and Human Development at Texas A&M University where he teaches courses in Philosophy of Education, Curriculum Theory, Social Foundations of Education, and Arts-Based Research. His books include: "Curriculum Development in the Postmodern Era" (Third Edition, Routledge, 2013); the co-authored text with Dana Rapp "Ethics and the Foundations of Education: Teaching Convictions in a Postmodern World" (Allyn and Bacon, 2003); the co-authored text with William Pinar "Understanding Curriculum" (Peter Lang Publishers, 1995); and the co-authored text "Contextualizing Teaching" (Addison-Wesley Longman, 2000). Dr. Slattery has published research articles in Harvard Educational Review, Journal of Curriculum Studies, Educational Theory, Qualitative Inquiry, Journal of Curriculum and Pedagogy (JCP), Journal of Teacher Education and Practice, International Journal of Qualitative Studies in Education (QSE), Journal of Curriculum Theorizing (JCT), and Curriculum Inquiry. 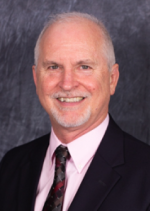 He is a former editor of JCT: Journal of Curriculum Theorizing and co-editor (with James Henderson of Kent State University) of The Journal of Curriculum and Pedagogy. Patrick Slattery is a past-president of the American Association for the Advancement of Curriculum Studies (AAACS), a member of Professors of Curriculum, the former chair of the Arts-Based Educational Research SIG of the American Educational Research Association (AERA), and a council member of the Curriculum and Pedagogy Group (C&P). He is also an artist, lecturer, and activist for social justice issues. The central theme of his work is the promotion of a just, compassionate, and ecologically sustainable global culture through holistic and reconceptualized approaches to curriculum, constructive postmodern understandings of education, queer studies in gender and sexuality, and Process philosophical visions of creativity and change. In his research he contends that spiritual, ethical, and social transformation is intimately linked to visual culture, public pedagogy, and aesthetics, and that wisdom can emerge in the artistic process. Dr. Slattery was appointed as a Fellow for Climate, Diversity, Equity, and Inclusion in the College of Education and Human Development for the 2018 academic year. 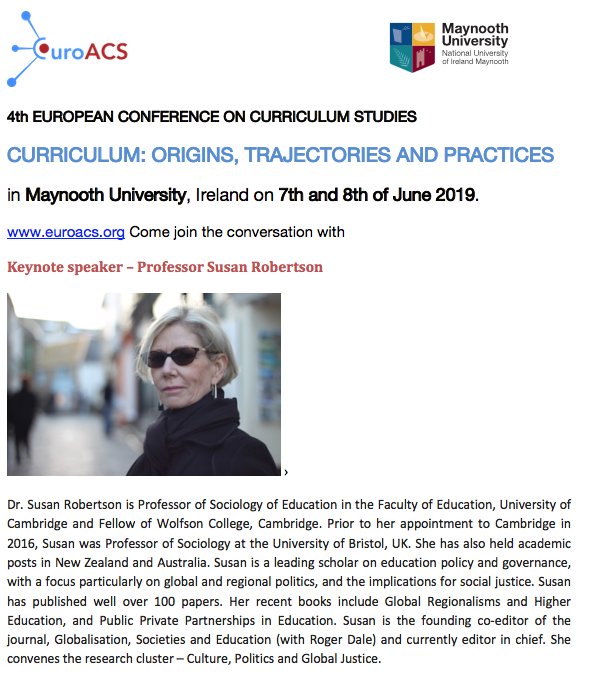 Visit www.maynoothcampus.com, enter your arrival and departure dates and type in the e-voucher code EUROACS_04/18 in the voucher field. Alternatively call +353 01 708 6400 and quote "EuroAcs 2019" when booking with our receptionist. Email Front desk and quote " EuroAcs 2019”when enquiring about the availability. Maynooth University is an internationally recognised institution located 25 kilometres outside of Dublin, Ireland, and is the nation’s fastest growing university. Maynooth University is a place of lively contrasts–a modern institution, dynamic, rapidly-growing, research-led and engaged, yet grounded in historic academic strengths and scholarly traditions. With more than 12,000 students from more than 90 countries, Maynooth offers a range of programmes at undergraduate, Master’s and PhD level in the humanities, science and engineering, and social sciences, including business, law, and education. The University also offers a range of international programmes and partnerships. If you wish to receive the latest information to your e-mail, please register to our EuroACS newsletter. You can also read the latest newsletter below.